The cookie craze lives on in the SIL house. We're still baking batch after batch - but it's totally worth it for you because we're coming up with some deeeeeeeeeeeeeelicious recipes. You'll find peanut butter on top of breakfast bakes in the morning, peanut butter in sandwiches, peanut butter on top of muffins or drizzled on top of oatmeal or cereal bowls - and my peanut butter addiction has started rubbing off on my friends. All of a sudden they've found themselves topping their oatmeal with peanut butter and drooling over peanut butter laden recipes - some, like my friend Ali, have even bought themselves some of my beloved peanut flour. It's probably tough being my friend.... All of a sudden you're thrown into a world of coeliac disease and food intolerances, you're bombarded with jars of granola and bags of cookies to taste test and your facebook news feed is filled with photos of food I've made on any given day. Nevertheless, since I knew Ali had a bag of peanut flour in her pantry, I wanted to work on some peanut flour recipes to share with her as well as you all - and ohhhhhhhhhhh boy did I succeed in doing that. I really felt like making peanut butter cookies, but I hate using up all of my beloved peanut butter for a single batch of cookies so I put my thinking cap on. 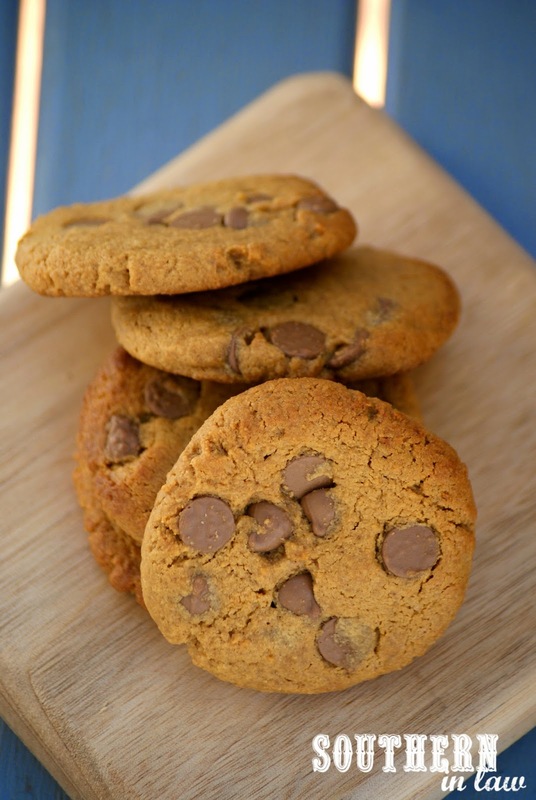 I've made peanut flour pancakes, peanut flour smoothie recipes, peanut flour tart crusts, peanut flour raw bites, peanut flour protein muffins and even single serve peanut flour cookie dough - so why couldn't I make peanut butter cookies using peanut flour instead of the usual flour?! So I got to baking - and you have to know that as soon as these babies left the oven, one was straight in my mouth (asbestos mouth FTW!). 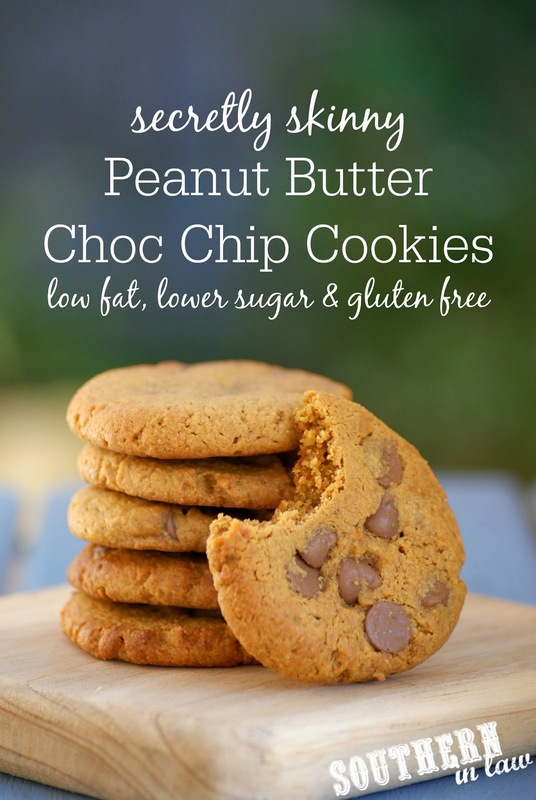 They are seriously delicious and SO easy to make - as well as way healthier than your average peanut butter cookie! Line 2-3 cooking sheets with baking paper and set aside. In a mixer, cream your butter and sugar, until fluffy. Add in your egg and vanilla, scraping down the sides to incorporate everything together. 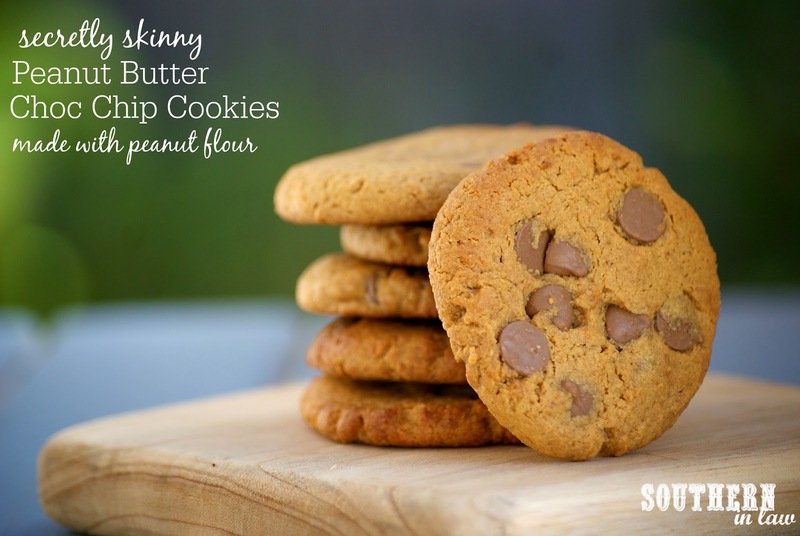 Add in your sifted peanut flour and your baking soda, mixing until just combined. Stir in your chocolate chips and roll into balls. Flatten out your cookie dough balls onto your tray, leaving about 2cm/0.5 inch room between each cookie. Bake for 8-12 minutes or until your edges just start to turn golden and crisp up. If you like a crispy cookie, bake them for a bit longer or if you're a fan of soft cookies take them out at the 10 minute mark! Leave to cool on your baking tray before moving to a wire rack or serving dish. 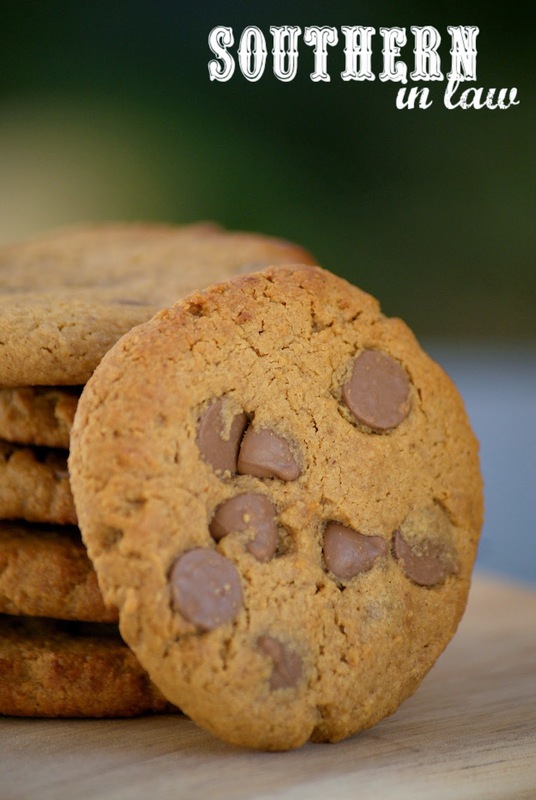 These cookies will keep for 3-4 days at room temperature. But tell me, do you have any unusual habits, favourite past-times or foodie addictions that your friends have also picked up? And what's your favourite treat to share with friends? Ooooh looks delish. Can't wait to make these babies!